The second floor of the Learning Crossroads has looked like the set of a long, envy-inducing tech unboxing video these past few months. Hatched from cardboard, styrofoam, and bubble pack shells, the Library’s new Tinkering Lab now boasts an 8K video wall, virtual reality headsets, and a range of gaming consoles. The Lab will become the go-to destination on campus for exploring the technical aspects of video game development while analyzing player interactivity, socio-political outcomes, and the effects of player engagement. The Lab is even set up to enable simultaneous exploration and comparison of today’s top consoles – Sony’s PS4 Pro, the Nintendo Switch, and Microsoft’s Xbox One X – from three separate screening stations each equipped with all three systems. Virtual reality systems are being procured as well, carefully unwrapped and installed with the same level of reverence as the gaming technology. Once again, cross-platform comparison and analysis will be possible with the installation of three different models: the HTC Vive, Oculus Rift, and PSVR. Kirsty Duncan Minister (centre, in white) listens to STEM Researchers during a round-table discussion. Photo by Bonnie Findley. With its video wall, ideal audio configuration, and reconfigurable swivel seating, the Tinkering Lab space is already in high demand and has hosted two high-profile events so far. 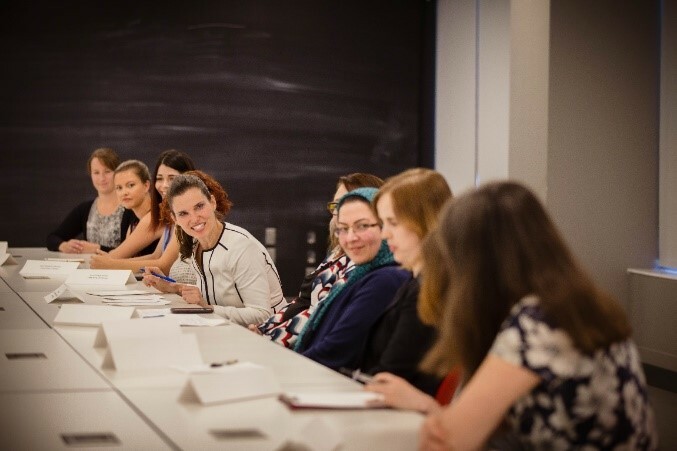 On June 19th, the Library hosted the launch of a new web portal designed to help discover and archive the history of women in STEM in Canada. The Honourable Kirsty Duncan, Minister of Science and Minister of Sport, addressed the celebrants and facilitated a round-table discussion in the Library’s neighbouring Learning Lab. 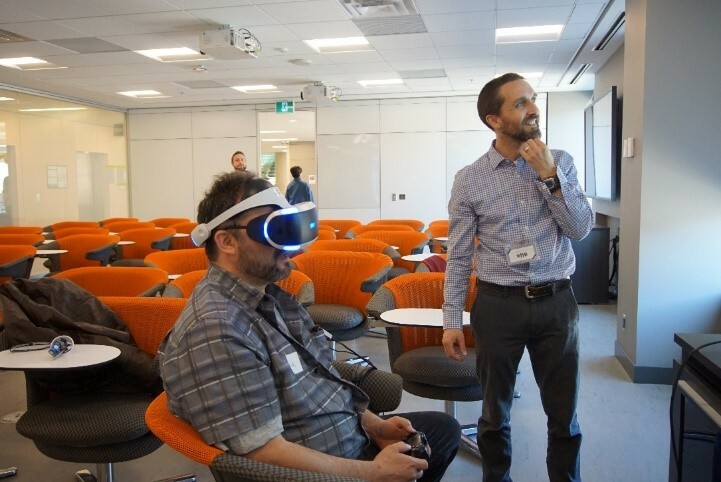 During the week of July 9-13, the Canadian Institute of Digital Literacy conference was hosted in the Learning Crossroads’ labs as well. The program featured coding, computational thinking, robotics, and even incorporated video-editing and production: 65 participants filmed, edited, and screened their productions in the Library’s Tinkering Lab and neighbouring Learning Lab, making use of loaned technology like green screens, lighting, and additional recording devices. The event was a success and our new space delivered on its intended purpose to serve as a venue that could effectively give researchers access to cutting-edge audiovisual technology in a space conducive to collaboration. Thanks to ongoing support and expertise of the Teaching and Learning Service, who has been a stalwart partner to the Library, installations and configuration will continue throughout the month of August. The Library’s labs and collaborative spaces are planned to open for reservations and research in the months of September and October.